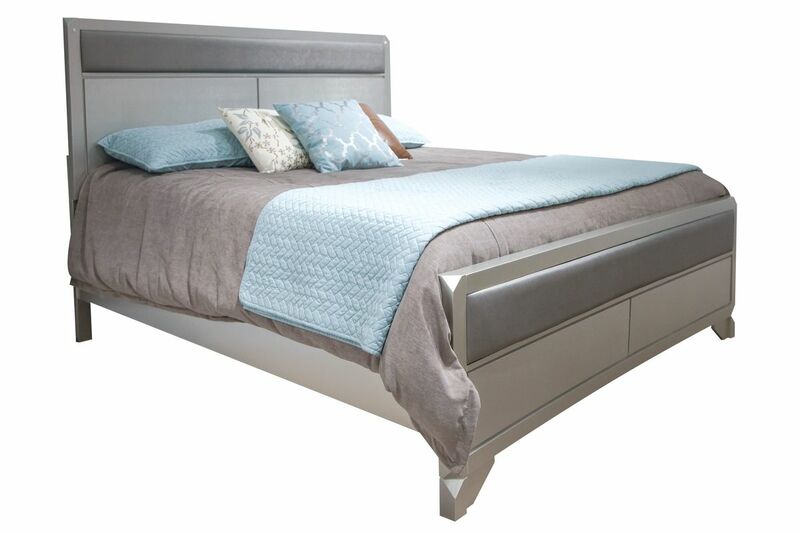 The Noviss Queen Bed is built with solid tropical wood with a champagne silver finish. Featuring unique foot designs and fabric panels on the headboard and footboard. This collection is finished with a 5-step process and preserving lacquer top coat to make it last! You'll love the unique design of the Noviss Collection in your bedroom.